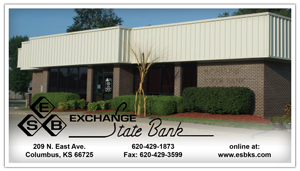 Exchange State Bank had its beginning in South Mound, Kansas, on September 26, 1914, as The South Mound State Bank. It wasn't until twenty years later that the charter was moved to St. Paul, Kansas, and became The Exchange State Bank on November 14, 1934. 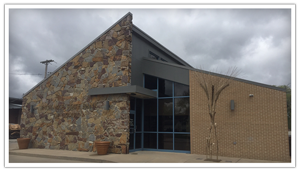 The bank was located at the northwest corner of 5th and Main Streets and remained there for 35 years. As part of a business district renewal program begun by the City of St. Paul, ESB moved into a new facility located directly down the street at 408 N. 5th Street in December 1969. In 1996, ESB expanded into Girard, Kansas, opening a newly constructed facility at 108 E. St. John. A third expansion was made in 1999 with construction of a new bank at 209 Northeast Avenue, Columbus, Kansas. 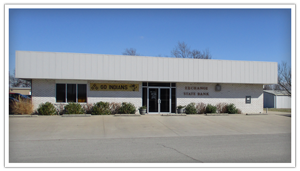 One of the oldest banks in Southeast Kansas, we are proud to be locally owned and operated, providing quality customer service as we support the sound and productive growth of local businesses and agriculture, and strive to meet the financial needs of families in the communities we serve. If we can ever be of assistance, please feel free to contact us. Exchange State Bank - you're not just dealing with bank employees - you're banking with friends!